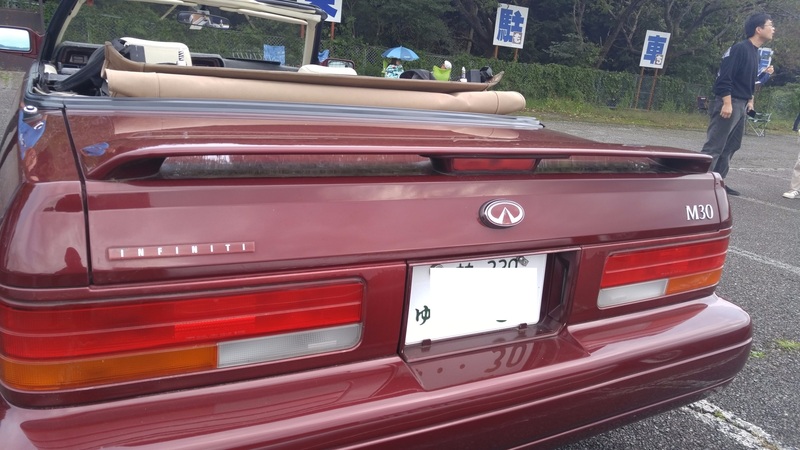 There have been a few people who have attached the convertible spoiler onto the M30 coupe. First being Ricky aka C4Nitriousboi. When I was in Japan for the 31st Nissan Leopard Festival in October 2017, I was able to make a side by side comparison. I knew the spoilers looked close, but seeing them upfront, I was able to determine the differences. After I realized they were pretty much the same, I thought about getting a spoiler to have that “leopard look”. I remember a few months back, I was able to look at a spoiler and how it was mounted. My Blue Grey storm M30 was molested with an aftermarket spoiler that didn’t seem right on the car. I took that off quickly. Thought about the Vert spoiler, but never came upon til this time. 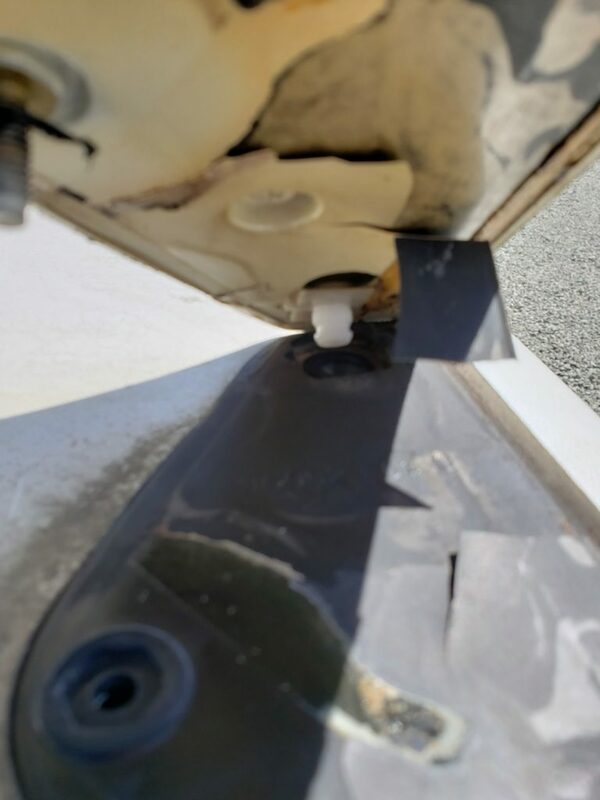 Opening the trunk, I unbolted 4 nuts. One on each side of the spoiler, and 2 by the 3rd brake light. 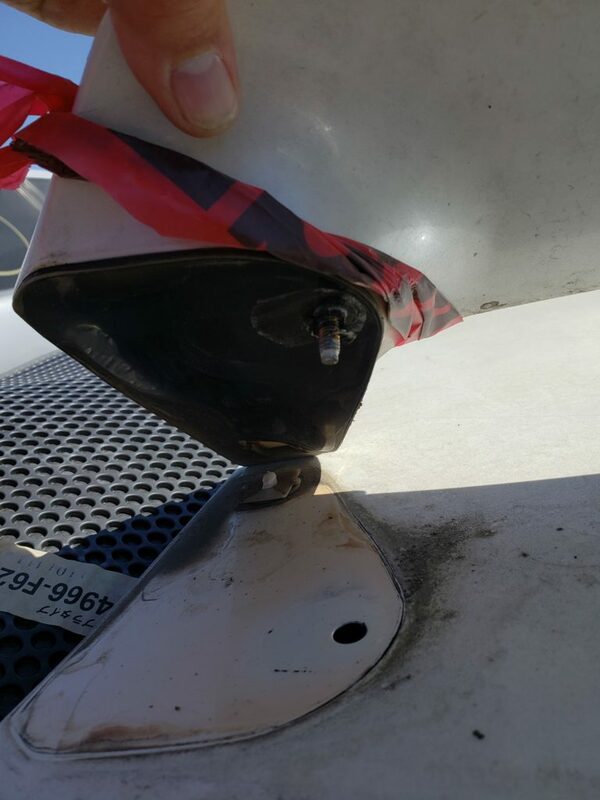 On each side, there is also a gasket between the spoiler and trunk. There seems to be plastic clip in the front. The 3rd brake light. Attached to the trunk, with 2 nuts and the wiring for the trunk. The 3rd brake light, housing is metal! so it is heavy. 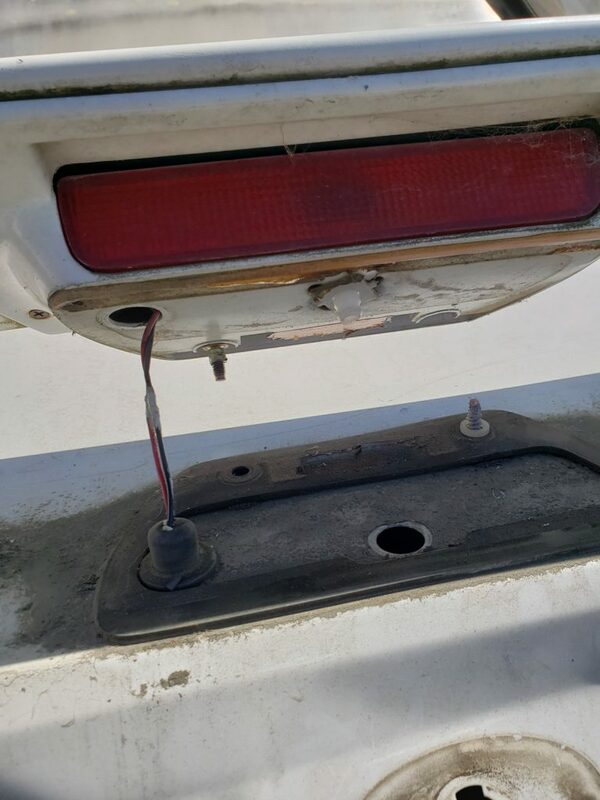 4 screws at each end hold it to the spoiler. There is also the plastic piece as well. I thought about buying this, but when I talked to the cashier, he said spoiler is $40, but since there is a 3rd brake light, $15 more. I decided not to get it because I thought it was too heavy for the M30 trunk. While it does look good, M30 coupe trunks are not shock supported like the M30 convertibles. So this would again, make the trunk heavy and I would have to use a prop to hold it up. 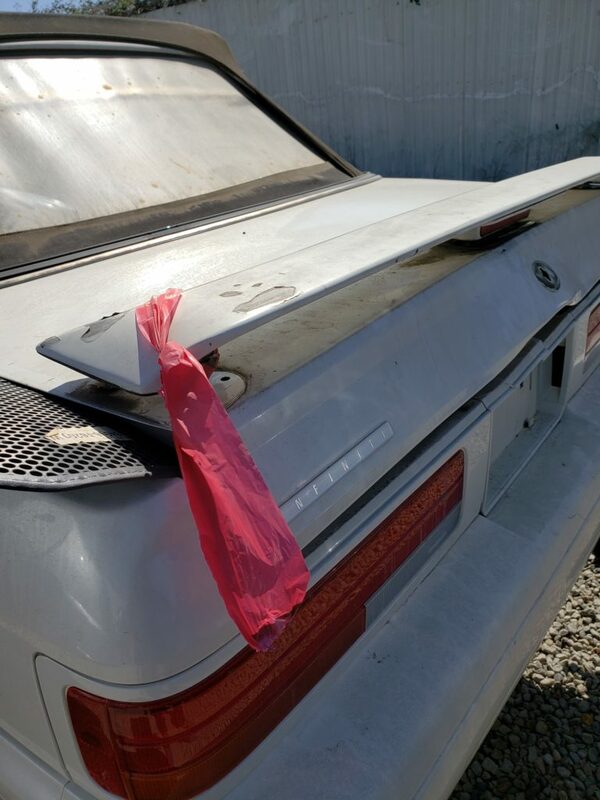 This entry was posted in blog, opinion, parts, review and tagged convertible, m30 convertible, spoiler.